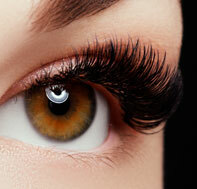 Individual lashes are delicately placed in between your own natural lashes to enhance and maximise. Over the course of 2-3 weeks your lashes naturally shed and so you will need to return to have them topped up to re-enhance. Glue test required 24 hours before treatment. In comparison to our individual lashes, Russian Volume will give you a fuller, lighter & more vibrant wear for a longer period of 3-4 weeks before you return for your infill. Most desired trend right now. Tint & lotion test required 24 hours before appointment. Enhance your lashes without the need to apply anything false. 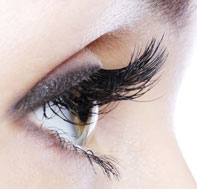 Chemically curling your lashes whilst tinting too giving you immediate colour, definition and enhancement. No glue required. Great solution for straight lashes or just to desire that extra curl.